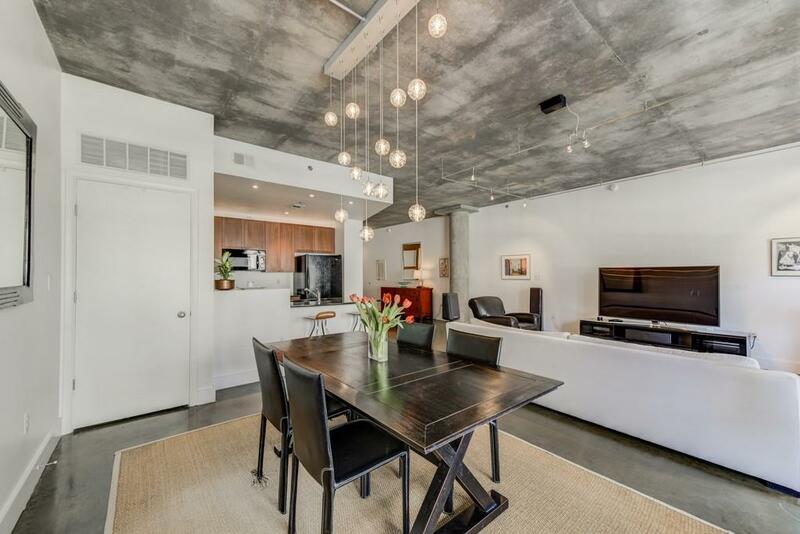 Spacious 1 bedroom unit in highly desired Midcity Lofts. Open layout, ideal for entertaining. Breakfast bar, dining area and living room. 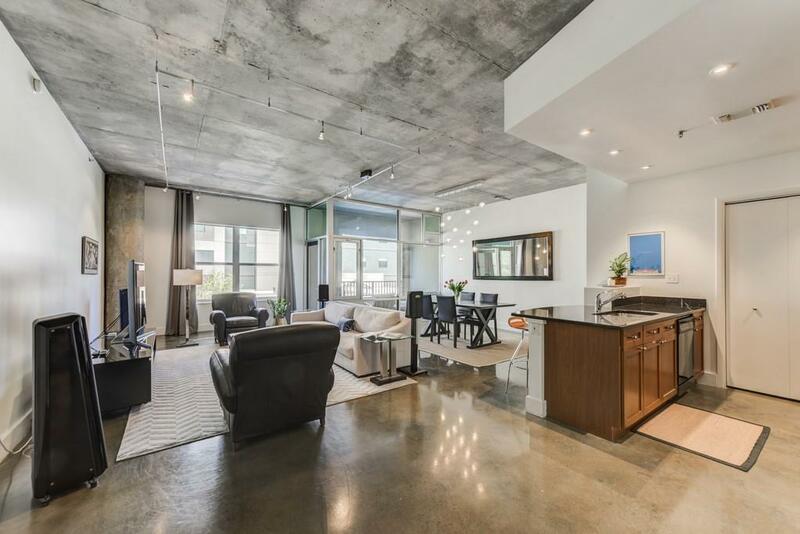 Polished concrete floors throughout. Walk-in pantry with W/D. Storage throughout. Generous sized bedroom off of entrance foyer w/custom built-in closet system PLUS roomy walk-in-closet. Custom bedroom doors offering ample privacy and separation. Private, covered balcony to make your own. 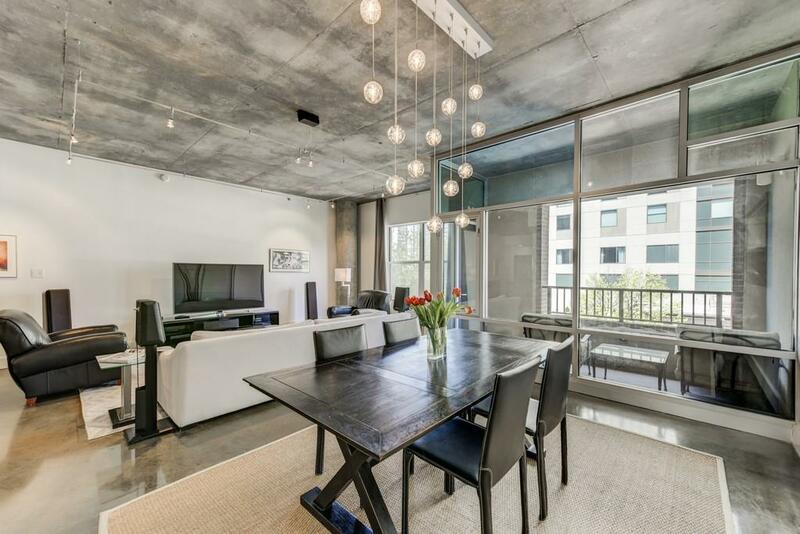 24/7 concierge, gated owner & guest parking, rooftop pool & gym. 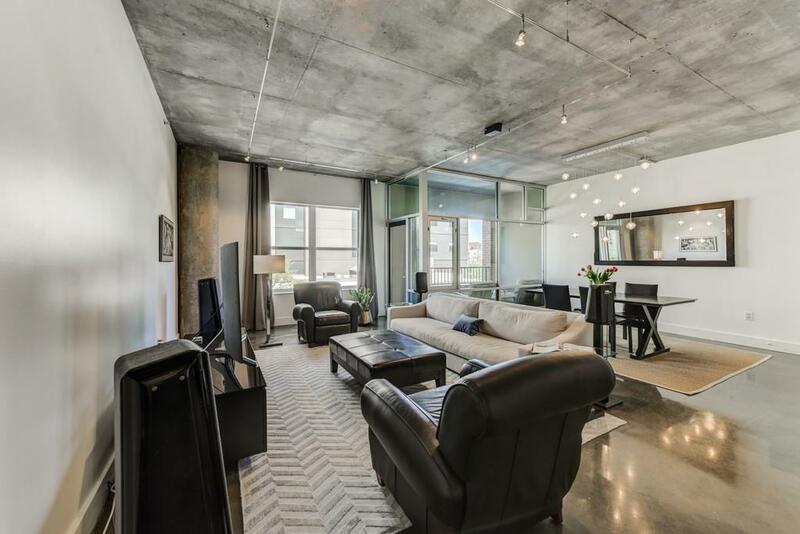 Ideal location near MARTA/I85/75/GA Tech/CODA/NCR & all that Midtown has to offer.